The Boston Public Health Commission supports a number of programs, including Child, Adolescent, and Family Health, Community Health, Emergency Medical Services, Homeless Services, Infectious Diseases, and Substance Abuse Services. Additionally, their website provides information on bioterrorism- on what the City of Boston has done, and what you can do, to prepare for possible attacks. This includes specific information on different biological and chemical agents and fact sheets which are available in many languages. “Helping People Lead Healthy Lives in Healthy Communities,” the Commonwealth of Massachusetts Department of Public Health works to promote healthy people, families, communities and environments through compassionate care, education and prevention. Includes an A-Z index of Health Topics. 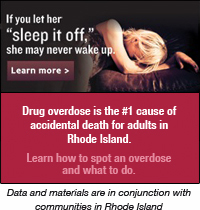 The Rhode Island Department of Public Health seeks to prevent disease as well as protect and promote the health and safety of the people of Rhode Island. Their site includes Public Health News, Programs and Services, Publications, Data and Statistics, and Health Topics from A-Z. ATSDR’s mission is to protect America’s health from toxic exposures. Accordingly, their website features extensive information on hazardous substances, their health effects, and the National Priorities List (NPL) of sites where a significant threat to public health might exist. It also includes updates on the most current news regarding toxic hazards. The AAPCC site includes links to all the nation’s Poison Centers, as well as a link the more public oriented www.1-800-222-1222.info. The CDC’s Emergency Preparedness and Response site provides information emergency and disaster planning, including facts on possible biological and chemical agents. The CDC’s National Center for Environmental Health site shares information on a number of health problems that can result from interactions between people and their environment, including such topics as lead and carbon monoxide poisoning. The CDC’s National Institute for Occupation and Health site conveys important information on workplace safety and health, such as potential chemical exposure or injury at work. The Department of Homeland Security site encourages visitors to be ready, rather than afraid, and provides information on possible terrorist threats and emergency preparedness. Users should also consult Ready.gov, discussed below. This website links to many aspects of the EPA, including recent press releases, regulatory action, databases and much more. Contains information on foods, drugs, biologics, devices, cosmetics, toxicology, hot topics and up to date news releases. HRSA’s website includes information on the many programs which they support in their efforts to expand comprehensive, quality health care. Topics range from maternal and child health, to under served communities health initiatives, to HIV/AIDS services. Contains information on news and events, health information, library catalogs and journals, grant information and links to the other organizations that make up NIH. Contains information to help keep American families safe by reducing the risk of injury or death from consumer products. Includes product recall and safety information and a library of related information; visitors can also sign up for email updates of consumer safety news. The US DHHS website includes extensive information on all aspects of health and well being, from Diseases and Conditions, to Safety and Wellness, to Disasters and Emergencies, and Families and Children. The USGS site provides information on the earth, natural and living resources, natural hazards and disasters, and the environment. The site includes sections for teachers and children, and specific information on certain toxic substances found in the environment.